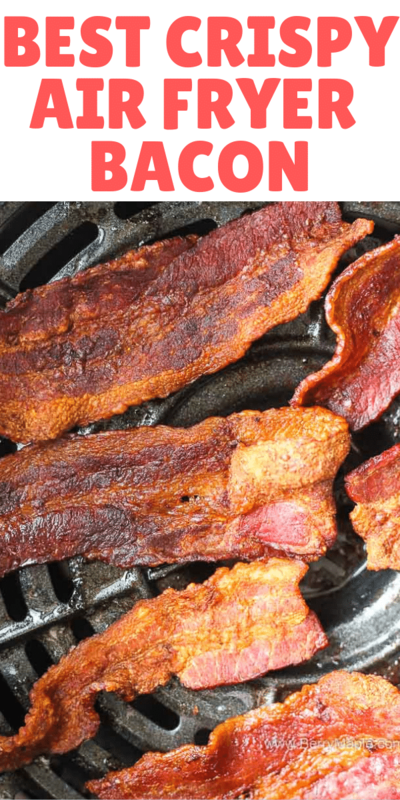 Morning favorite – crispy air fryer bacon! No mess and made in under 8 minutes to pair with your favorite breakfast dish. 3 slices has 5 weight watchers smart points. 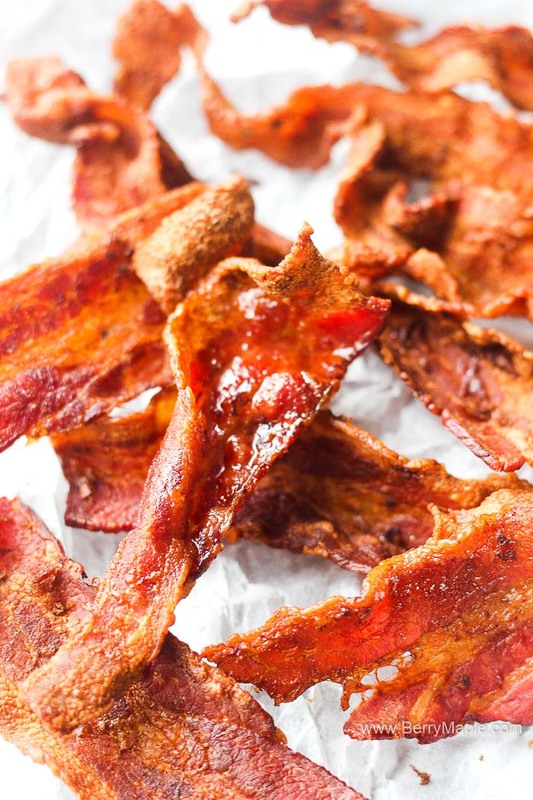 To achieve desired crispiness, check on your bacon couple times during the cooking process. You know , some people like it more crisp, some less. 8 minutes usually enough for me, but keep an eye on it! Smoke coming from air fryer is the i=oil or fat, that dripped from the dish and started to burn. If your air fryer started to smoke, what to do to prevent it next time? Add some water on the bottom of the air fryer basket. Not too much, otherwise it may pour out through the holes of the basket. 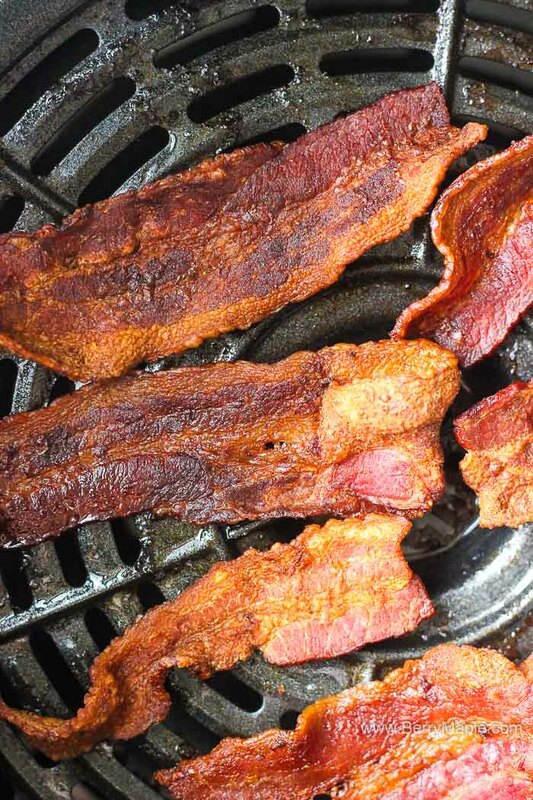 Is it safe to cook bacon in air fryer? Yes it is. So i far i didnt have any problems with it- no mess, no smoking too! 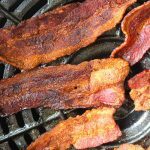 Try this crispy bacon with my favorite breakfast eggs dish- Air fryer breakfast frittata. Be a part of a new growing community of air fryer lovers. Join the new private Facebook group, where i post only best, trusted recipes from my site and other helpful tips and tricks. Get new updates and new recipes first! 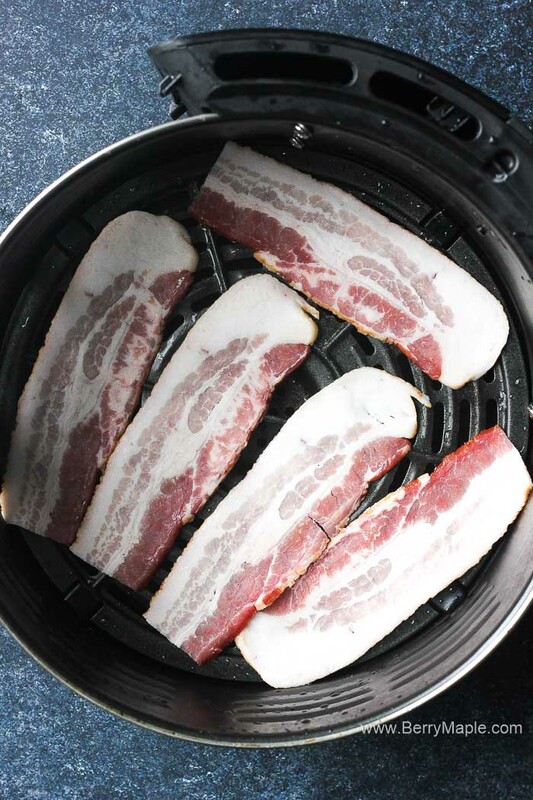 Morning favorite - crispy air fryer bacon! No mess and made in under 8 minutes to pair with your favorite breakfast dish. Cook for 8 minutes, checking couple time to make sure to achieve the desired level of crispiness. Love this way to make bacon. Turned out so crispy! These turned out perfect!! So delicious!